Kia, one of the most popular Korean car manufacturers in the world, has constantly pushed the envelope in bringing only the best vehicles in the market. And whether these cars are for business or for pleasure, for long excursions on quick trips in the urban metro, you can be sure that Kia delivers. Early release of the Sportages were, for lack of a better word, a disaster. From being recalled for design and motoring failures (the SUV’s rear wheels have been reported to dismount during actual use) to low scores in safety tests (the Sportage, unfortunately, scored the lowest possible score to be marked in the Australian ANCAP crash tests), it can then be considered a wonder why Kia still invested time and effort in producing these line of vehicles. Perhaps this vehicle manufacturer saw something in the Sportage and placed some much-needed trust in it – and this trust and confidence paid off in creating a fantastic ride. 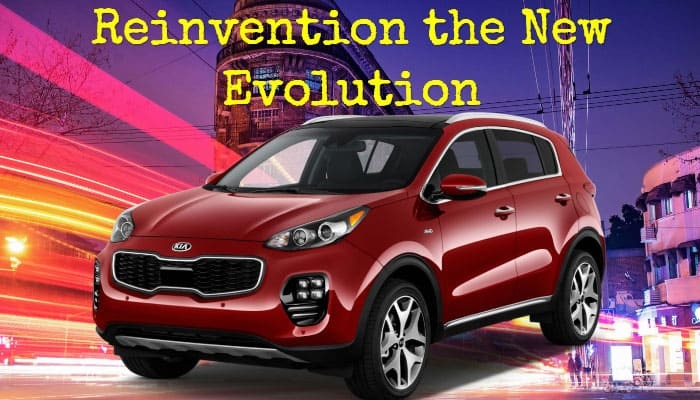 By reinventing the wheel, taking a step back to see a bigger view of the future, and integrating innovative ideas into the core idea of the Sportage then resulted into a magical vehicle. 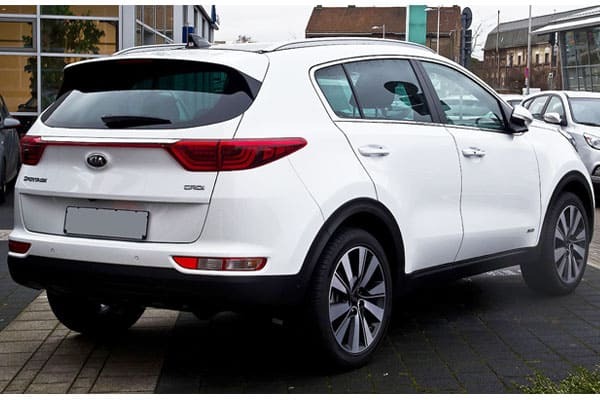 In fact, just last year, the Kia Sportage has turned out to be one of the best selling models of the Korean brand – proving that this car delivers both motoring excellency and passenger safety and convenience! Featuring a 6-speed automatic transmission, the Kia Sportage offers an exciting and convenient driving experience that will cater to any sort of driving style. And in terms of style or needs, motorists have the option to choose between two impressive four-cylinder engines: a 2.4-liter engine (available in the LX and EX Sportage models) which is already a high mark among compact SUV segment leaders, and a 2.0-liter engine for a turbo-charged and thrilling ride! Wow – such a beautiful car to gaze at! 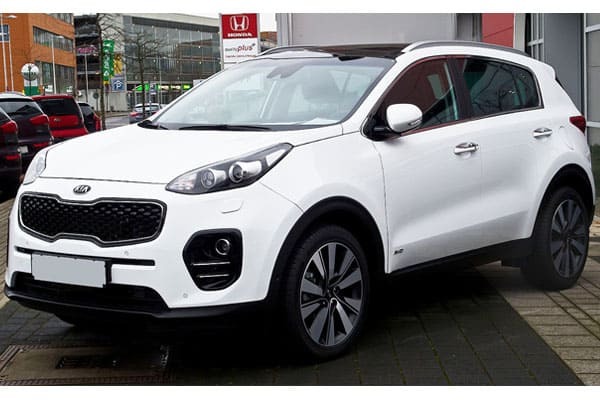 The Kia Sportage is designed to amaze, with an amazing grille that exudes confidence and power, side contours that blends form and aerodynamic function, and full-chrome window surround to add a touch of sophistication for drivers and passengers. Add in the impressive LED light and extended wheelbase, and you can truly observe that every little detail has been given the maximum attention it deserves during the conceptualization and manufacturing stages of the vehicle! Speaking of attention to detail, the Sportage’s interior design is definitely created to impress as well. 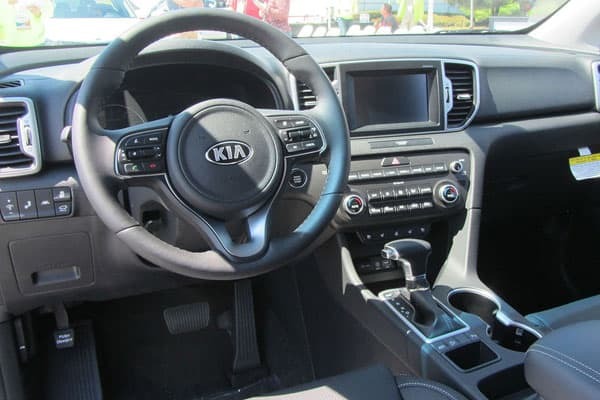 Designed and crafted to provide only the best in comfort for drivers and passengers alike, the interior of the Kia Sportage is best appreciated through experiencing it! Designed to place the driver in the center, the car’s angled console, display monitors, road and infotainment control knobs and the like have all been ergonomically designed and optimized to be within a driver’s reach. As such, a motorist does not need to feel that awkward and irritating feeling of getting lost inside his or her car – an ironic twist of a situation for drivers to be in! Also, space and loading or cargo capacity is an important benefit one can attain from the smart design of the Sportage’s interior. Featuring smart compartments and flat folding and dual level cargo designs for rear seats and the like, the Sportage can provide innovative solutions in transporting even a large quantity of cargo from Point A to Point B.
Lastly, when it comes to the car’s interiors, Kia takes pride in rigid and master craftmanship. By considering only quality materials, every miniscule detail (such as the integration of soft material) is still given a high level of attention – which, when added up, results in a satisfying and safe ride for all! A standard among all Sportage models, the Dynamax™ AWD system provides an additional layer of safety and comfort. Motorists are assured that they are in control, with this system adjusting to various road conditions and even weather conditions. The AEB system is another set of eyes and ears for drivers. Constantly monitoring for potential road hazards, the Sportage steps in to apply braking power to prevent collision or reduce impact. Truly, a system that only delivers the best in safety! We hope you can grab the opportunity to drive the latest Kia Sportage. If you do, let us know about your experience by sending us a message or leaving a comment below. Do drive save, and we hope only exciting and fun trips for all!